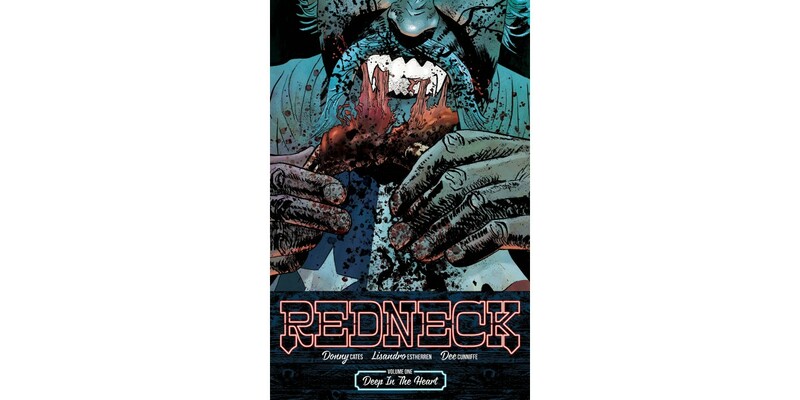 Critically acclaimed writer Donny Cates (GOD COUNTRY, BUZZKILL, ATOMAHAWK) and artist Lisandro Estherren team up for a southern vampire tale in REDNECK, VOL. 1: DEEP IN THE HEART. This trade paperback will collect issues #1-6 of the ongoing series from Image/Skybound Entertainment. It will be available in bookstores on Halloween, Tuesday, October 31st, and can be pre-ordered now on Amazon, Barnes & Noble, IndieBound, and Indigo.